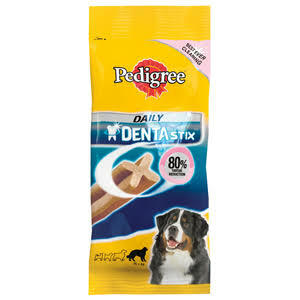 PEDIGREE DENTASTIX Treats are a snack for large adult dogs. 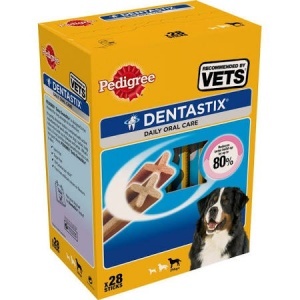 The product is a chewy textured treat that is designed to promote oral health in adult dogs. Dentastix are an X-shape stick-like product which delivers daily oral care in a tasty convenient treat. The unique texture is clinically proven to reduce plaque and tartar build-up.